Inglis joins with people all over the world to celebrate the International Day of Disabled Persons. Here is a link to the UN's page for more information. 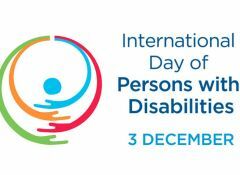 “The annual observance of the International Day of Disabled Persons was proclaimed in 1992, by the United Nations General Assembly resolution 47/3.